Club Legend Devonshire confirmed as the next guest! Following the success of previous events where our guests have included: Phil Parkes, Frank McAvennie, Stuart Slater, Alvin Martin, Steve Lomas, John Moncur, Keith Robson, Matthew Etherington, Martin Allen, Mark Ward, David Cross, Danny Gabbidon, Jack Collison, Julian Dicks, Ray Stewart and Dean Ashton we now welcome another club legend to the stage. Our seventh guest of the year is a former midfielder, England International and FA Cup Final winner, Alan Devonshire. Alan joined he club for the tiny fee of £5000 from Southall in 1976 and played until 1990 until moving onto Watford. 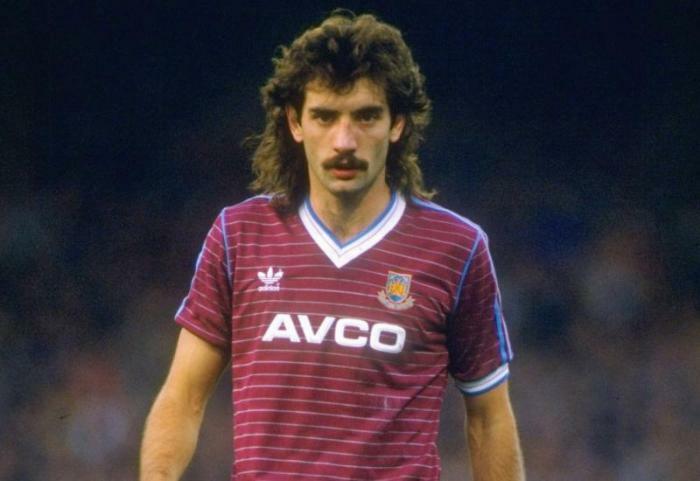 Alan played 358 times for West Ham and scoring 29 goals and surely would have gone onto to achieve a lot more for us and England had injuries not struck. The event will take place on the 31st March at the East Ham working man’s club from 11:00am-2:00 pm. We are offering this event at a bargain £25 and this event is guaranteed to be a top do and be a sell out like the previous three events (as I write this article we have already sold 80 tickets). We have unlimited beer, cider, wine and soft drinks where you are certain to be served much quicker than any bar in Stratford. You will not get this anywhere else! !